For many years, Tim Wooding was synonymous with Rushden & Diamonds FC. A product of the Rushden Rangers Youth set-up, Tim was born in Wellingborough and had spent time as a trainee at Norwich City before joining AFC Bournemouth. 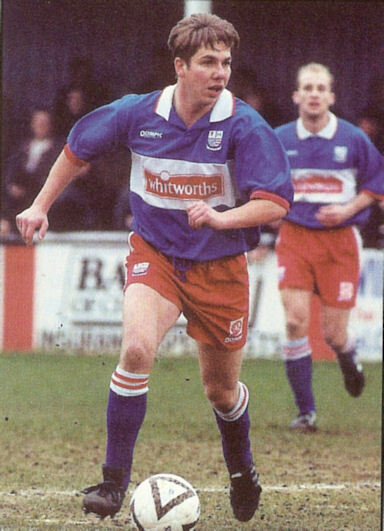 He joined Diamonds in February 1994 and enjoyed a remarkable start to his Diamonds career, his debut at Yate heralding a twenty game unbeaten run in the League which culminated in the Beazer Homes Midland Division title. Of the nineteen games he played that season, Diamonds won 14, drew 5 and lost 0. In the thrilling 3-2 victory over rivals West-super-Mare on March 19th, Tim had a hand in all three Diamonds goals, his sweetly struck long passes and viciously fired free kicks becoming his Nene Park trademark. Only injury put his place at risk over the next couple of seasons, his calm presence a feature as the club rose to Conference level. Injury ended his first Conference campaign in November 1997 and it was not until the crucial trip to Yeovil Town in September 1998 that he returned to first team action. The new look Diamonds won 2-1 and Tim was virtually ever present for the rest of the season, which saw Brian Talbot’s team achieve a creditable fourth. 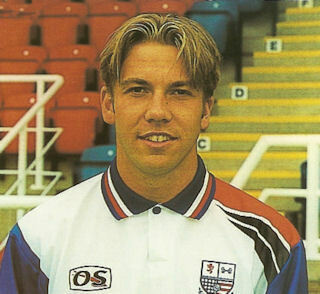 Tim’s long association with the club came to an end when he was released at the close of the 1999/2000 season. 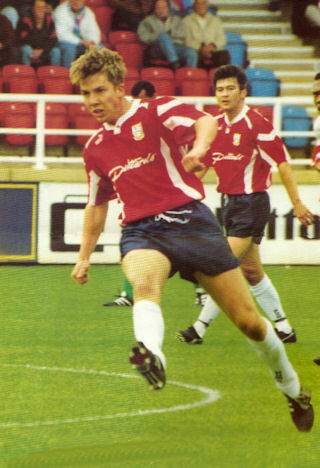 He joined Boston United as a free agent on 10 May 2000 before going on loan to Cambridge City in December 2000 – a move that was made permanent on 9 February 2001. In August 2003, he linked up with Roger Ashby again, this time at Grantham Town. After some 100 appearances, Tim was released in November 2005, and joined Rugby Town for the remainder of the season. In the summer of 2006, he joined his hometown club, Wellingborough Town. After a period away from football, he joined UCL Premier side Long Buckby on 11 November 2011 in a player/coach role, the Bucks winning the UCL Premier title in May 2012. Following the resignation of the Long Buckby manager Glenn Botterill after the club were unable to take promotion to the Southern League, Tim followed him to UCL Division One side Sileby Rangers in a coaching role. Once again, he achieving promotion, this time to the UCL Premier in May 2013, but following the resignation of Manager Glenn Botterill on 22 July 2013, Tim also left the club. No further record of his involvement with the game has been found through to 2018.